Personal Bankruptcy – Szabo Law Group, P.A. Many of the Individuals and businesses that reach out to us are struggling to keep up with credit card and medical debt, meet financial obligations, face foreclosure, receive harassing creditor phone calls, and are in fear of car repossessions. If you’re thinking about personal bankruptcy, you’re looking at some hard questions and harder choices. At Szabo Law Group we understand that life can take unexpected turns. Fortunately, there are good options. We can help. We have experience in dealing with these circumstances. We understand that each case is different and take the time to understand your personal financial situation and inform you on what options are available. Call us today for consultation and a path to a fresh start. Can a Bankruptcy wipe out a judgment I have against me? Most likely. It depends on the type of judgment entered against the Debtor and the assets that secure the judgment if a certified copy has been recorded. Yes, you can wipe out or reorganize most credit cards and medical bills. Can a Bankruptcy wipe out taxes I owe to the IRS? It depends on several factors including, the type of tax owed, the date the return was filed, if the return was filed on time, whether a lien has been recorded, and several other factors. Typically, federal income taxes that are at least 3 years old and were filed on time may be subject to the bankruptcy discharge. Typically, student loans are not dischargeable in Bankruptcy; however, in limited circumstances, student loans may be dischargeable. The type of loan the Debtor took out, the age of the loan, if payments were made on the loan, if the Debtor refinanced the loan, who the loan was disbursed to originally, financial hardship, and several other factors play a role in determining if a student loan is subject to a bankruptcy discharge. Can I file a Bankruptcy to keep my home from being sold at a foreclosure sale? In most instances, yes, you can file for bankruptcy protection to save your property from a foreclosure sale. Can I give up (surrender) my car in Bankruptcy? Can I lower my car payments in Bankruptcy? If a Debtor wishes to keep their car, there are options that may lower the car payments or overall out-of-pocket expenses in a Chapter 13 bankruptcy. If it has been at least 910 days (2.5 years) since a vehicle loan was made before a bankruptcy is filed, the loan balance may be able to be reduced to the current value of the vehicle. This is called a cramdown. Cramdowns depend on several factors including the date the loan was taken, the terms of the original loan, the value of the vehicle, and the prime interest rate on the date of the bankruptcy filing. If the auto loan was taken less than 910 days prior to filing a Chapter 13 bankruptcy, there may be other options to lower the monthly loan payment or overall out of pocket expenses. Can I wipe out my child support arrearages by filing bankruptcy? No, but bankruptcy may eliminate other debt, which may make catching up on past-due child support easier. In a Chapter 13 bankruptcy, child support arrearages are repaid over a five-year plan term while potentially repaying only a small portion of other unsecured debt. Do I need to attend Court hearings if I file Bankruptcy? In most cases, Debtor(s) are only required to attend one Bankruptcy hearing called a 341 Meeting of the Creditors. This meeting usually takes place between 30-60 days after a Bankruptcy is filed and is held by the Chapter 13 Trustee. Generally, no judge is present at a 341 Meeting of Creditors. Do I need to bring anything with me to the 341 Meeting of the Creditors? Debtors are required to bring their original Driver’s License and Social Security Card for the Trustee to verify the Debtor’s identity. In a Chapter 13 case, the first payment is also required to be brought to that meeting or submitted to the trustee prior to the meeting. Generally, what is a Chapter 13 Bankruptcy? Chapter 13 Bankruptcy, also phrased as a reorganization, is a legal process by which a Debtor can catch up on past due debts, reinstate mortgage, auto, and other secured loans, and/or if they qualify, repay a portion of their unsecured debt without the worry of losing any assets. Chapter 13 is also often an alternative bankruptcy option for a Debtor who is unable to qualify for a Chapter 7 Bankruptcy. In a Chapter 13 Bankruptcy, Debtors are required to make monthly payments to the Chapter 13 Trustee for a period of 36-60 months. The amount of the monthly payment and number of monthly payments required depends on the Debtor’s specific circumstances. Generally, what is a Chapter 7 Bankruptcy? Chapter 7 Bankruptcy, also phrased as a liquidation, typically wipes out most of a Debtor’s general unsecured debts, including credit cards and medical bills, without the need to repay any of the debts. However, if a Debtor has any unexempt assets, those assets may be sold by the trustee to pay their Creditors. If a Debtor has limited assets, such as an older or fully encumbered car, it is possible they will be able to keep the car and still wipe out all the dischargeable debts without losing that asset. The outcome varies depending on each Debtor’s unique situation. There are many variables which can affect whether a Debtor qualifies for a Chapter 7 Bankruptcy or whether a Chapter 7 Bankruptcy is the best option. Often, the Means Test under the Bankruptcy Code can be the determining factor. Typically, if the gross annual income of a Debtor is under $48,000 as a single member household and under $58,960 as a two-member household then the Debtor(s) is presumed to qualify for Chapter 7 Bankruptcy. The annual salary amounts are adjusted each year. How long does a Bankruptcy filing appear on my credit? It depends on the agency searching the Debtor’s credit. Typically, it will appear for 7-10 years. Is Bankruptcy an option if I fall behind on my monthly mortgage, and/or homeowner’s association, and/or auto loan payments? 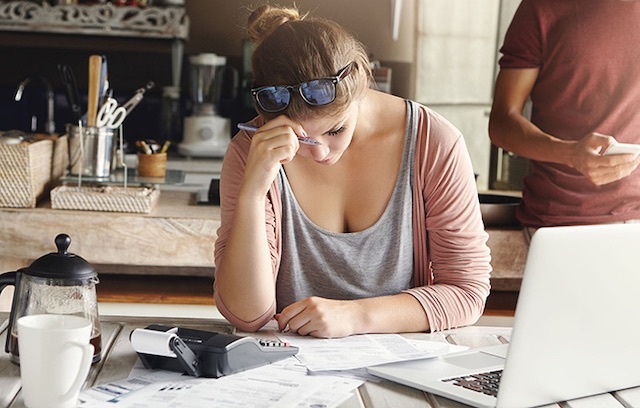 Bankruptcy is an excellent option for Debtors who are experiencing hardships that result in falling behind on monthly mortgage loan payment(s), homeowner’s association payments, auto loan payments and/or secured debts. 1. If a Debtor cannot afford to keep their property or does not want to keep their property, they may qualify for a Chapter 7 Bankruptcy and be able to Surrender the property and eliminate all their debts while eliminating the chance for the Bank to obtain a deficiency judgment after a foreclosure/repossession occurs. Debtors still must qualify to be able to file a Chapter 7 Bankruptcy. Debtors can also surrender their property in a Chapter 13 Bankruptcy. 2. If a Debtor wishes to keep their property and can afford to make payments sufficient to reinstate their loan(s) over a 60-month term, Chapter 13 Bankruptcy is a powerful tool. A Bankruptcy plan in which a mortgage is reinstated, consist of monthly mortgage payments plus the mortgage arrearage spread out over a 60-month period. Additionally, plan payments will include any other secured debt the Debtor wishes to reorganize, tax, child support arrearage, and other priority claims, trustee fees and often a pro-rata dividend to the allowed unsecured creditors. Depending on certain factors, it may also be possible to cramdown (reduce) or entirely wipe out homeowner’s association arrearages, mortgages on investment properties, under-secured liens, certain auto loans, non-purchase money security debts, judicial liens, and various other secured debts. What if I do not attend the 341 Meeting of the Creditors? Unless the Debtor has extreme mitigating circumstances and has tendered their first payment to the trustee (in a Chapter 13 case), their case will likely be dismissed if they do not attend the 341 Meeting of Creditors. The 341 Meeting of the Creditors takes place before the Bankruptcy Trustee and allows the Trustee and the Debtor’s Creditors the opportunity to meet with the Debtor(s) and their attorney and ask questions about the circumstances surrounding the Bankruptcy filing. Typically, if the Debtor is truthful when completing their paperwork, provides all necessary documentation to the Court, and no extenuating circumstances exist, then Creditors will rarely come to the 341 Meeting. A Debtor is a person or entity who owes a person or institution money. The person or institution that a Debtor owes money to is a Creditor. When you have a car loan you are the Debtor and your auto loan lender is the creditor. 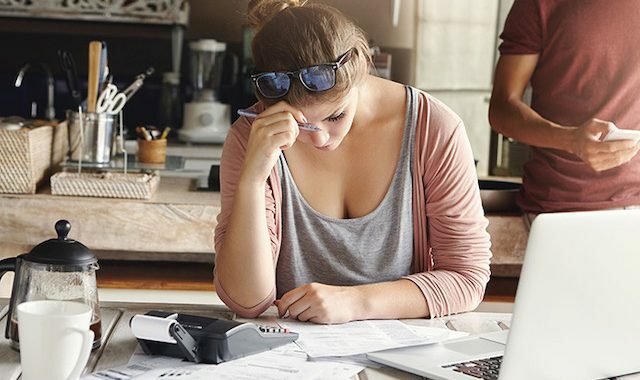 If you have credit card debt, mortgage debt, personal loans, or any other type of debt, even if you are current with your payments, you are a Debtor, as are more than 80% of Americans, who has a debt owed to a Creditor(s). What will happen to my Credit Cards after filing Bankruptcy? Likely, Debtor’s credit card accounts will be closed by their Creditors after filing Bankruptcy. After filing Bankruptcy, a Debtor’s Credit Score will likely decrease. Bankruptcy is a legal right to wipe the slate clean, eliminate debt, and get a fresh start on your credit. A Bankruptcy filing will start the clock ticking for removing negative items from your credit report and allow you to begin working on reestablishing good credit. When can I apply for new Credit Cards after obtaining a Bankruptcy Discharge? Results vary but we recommend opening a Secured Credit Card at a local Bank or Credit Union immediately after obtaining a discharge in Bankruptcy. Use it often to pay bills and make sure that the balances are paid on time. After 3-6 months, begin applying for regular unsecured Credit Cards. Using a credit card to pay normal living expenses and making payments on time will help to reestablish good credit. When do I make payments in a Chapter 13 Bankruptcy? Debtor(s) must make their first payment 30 days after the Bankruptcy is filed and continue to make monthly payments until the plan is completed. *The information contained in this document is for general informational purposes only. Individual circumstances may change the response to any question posed above. Nothing contained in this document should be construed as creating an attorney-client relationship with Szabo Law Group, P.A. As a matter of policy, Szabo Law Group, P.A. does not accept a new client without first investigating for possible conflicts of interests and obtaining a signed engagement letter or retainer agreement. If you would like to schedule a Free Bankruptcy Consultation please do not hesitate to contact Szabo Law Group, P.A. at (954) 210-6054.